This Buddy Holly songs page takes me back over 55 years to when I first remember hearing that cool guitar intro to "That'll Be the Day." Holly wrote and recorded his breakthrough hit, "That'll Be the Day," with The Crickets in 1957. The song's title and refrain are supposedly a reference to a line uttered by John Wayne in the 1956 film The Searchers. Don't know how true that is but it sounds like something the Duke would say. It's impossible to overstate the influence Buddy Holly had on rock n' roll. He was a massive influence on the British Invasion, as evidence by "That'll Be the Day" being the first song to be recorded by The Quarrymen (later know as The Beatles) even though it was a demo disc. Were it not for Buddy Holly, in my opinion, it's doubtful that the Beatles would've happened. Most casual rock fans can name only a few Holly tunes: That'll Be the Day and Peggy Sue, but there is so much more than that. Buddy Holly Songs - Ahead of his time and the great saxophone solo on True Love Ways. Two of his most haunting, beautiful ballads are True Love Ways and Raining in My Heart. Holly's "True Love Ways" you hear on this page will bring a tear to your eye and the dreamy saxophone accompaniment by "Boomie Richman" is absolutely perfect. As you Listen to the innovative string arrangements on these tunes you'll begin to understand why Paul McCartney (who owns the Holly musical catalog) adopted these arrangements ten years later as a Beatle. Richman was also noted for playing with the Tommy Dorsey Orchestra and Benny Goodman at the height of the Big band era. 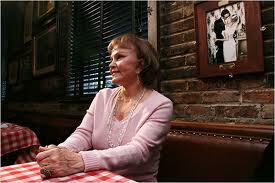 He retired from the Benny Goodman band in 1956 and retired from studio work in 1972. His last recording was for the movie, The Godfather. Another favorite of mine is the amazing "It Doesn't Matter Anymore," about a love gone wrong. The song was written by Paul Anka and again, the string arrangement is years ahead of its time. Makes you wonder what might have been had Holly's life not ended so tragically and prematurely. True Love Ways - A Love song. This beautiful song was written by Buddy Holly (though also credited to Norman Petty) and recorded with the Ray Ellis orchestra on October 21, 1958, in the presence of Buddy's wife, Maria Elena Holly. The song was recorded at the Pythian Temple Studio in New York City. But you have to appreciate the impact of this great song and the love that inspired it. Five hours after they met, Buddy Holly proposed to Maria Elena Santiago at PJ Clarke's in New York on June 20, 1958 at Table 53 and soon thereafter wrote "True Love Ways" for her as a wedding gift. It was not released until March 1960, after Buddy Holly's tragic death, when it was included on the album, The Buddy Holly Story, Vol. 2, on the Coral label. 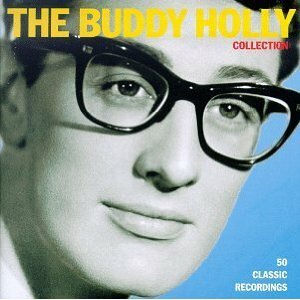 Buddy Holly songs - A short life but a giant legacy. Buddy Holly and the Crickets made some of the greatest Rock 'N' Roll records of all time. It's a remarkable fact that such classics as "That'll Be The Day", "Peggy Sue", "Oh Boy", "Maybe Baby", "Rave On" and "Think It Over" were all recorded in a little less than twelve months during 1957-1958. He was killed on February 3, 1959 in a plane crash near Clear Lake, Iowa. He was just 22 years old. Such a short life. Such a giant legacy. It's clear that Holly was one of the truly great talents of his and our time. Enjoy this wonderful old love song that is as beautiful today as it was when it was released more than 50 years ago. An Elvis love song live - I'll Remember You. 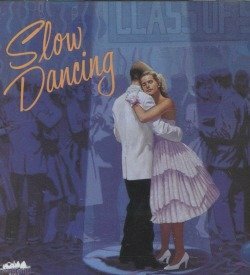 Country Cheatin' Songs - Send Me Down to Tucson. Beautiful Love Song from 1964. Vinyl Record Memories - The Golden Oldies. 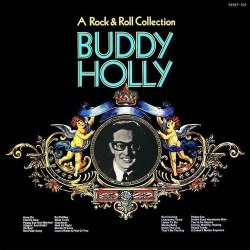 One of my favorite Buddy Holly 2 record set vinyl albums . Visit the Amazon Buddy Holly store. See all 143 albums in one location.